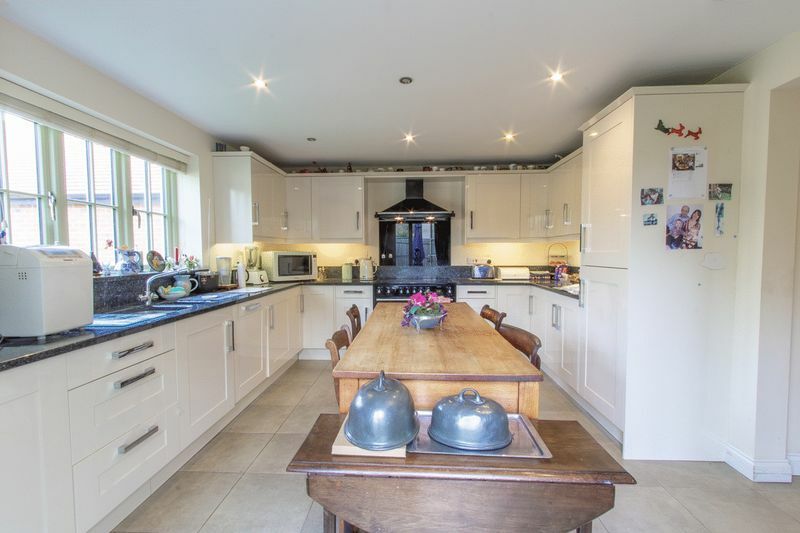 A substantial 4 bedroom detached house with a built up area of approximately 1600 sq feet. 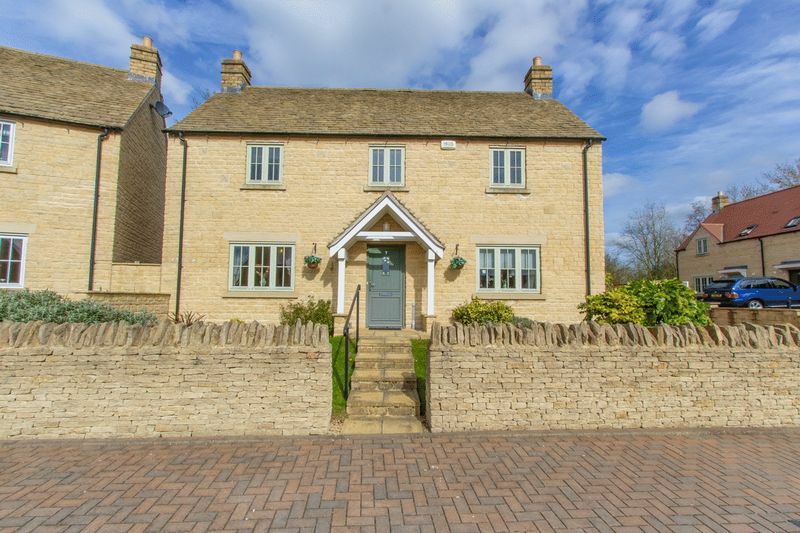 Situated at the head of an attractive cul-de-sac of Cotswold stone houses, the accommodation the accommodation comprises of 4 double bedrooms with 2 en-suite shower rooms and a family bathroom, a 19ft x 13ft sitting room, dining room, kitchen/dining room, utility and cloakroom. 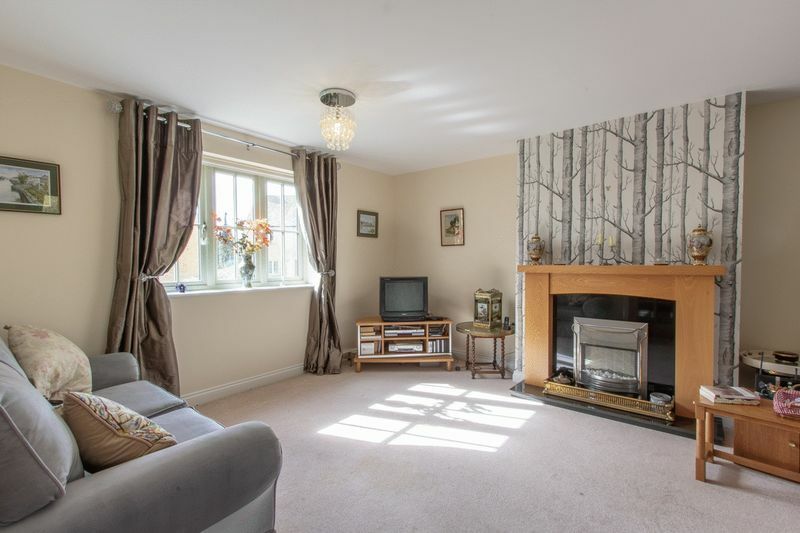 Key features include a detached single garage, driveway with tandem parking for 3 vehicles, split level rear garden area measuring approximately 100ft in length. 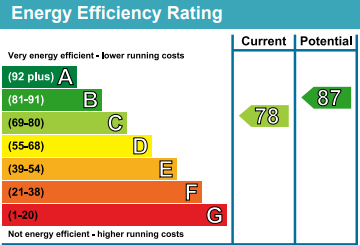 Benefits include, independent air source central heating system, double glazing, wood flooring (where specified), ground level underfloor heating, mains water, drainage and electricity. 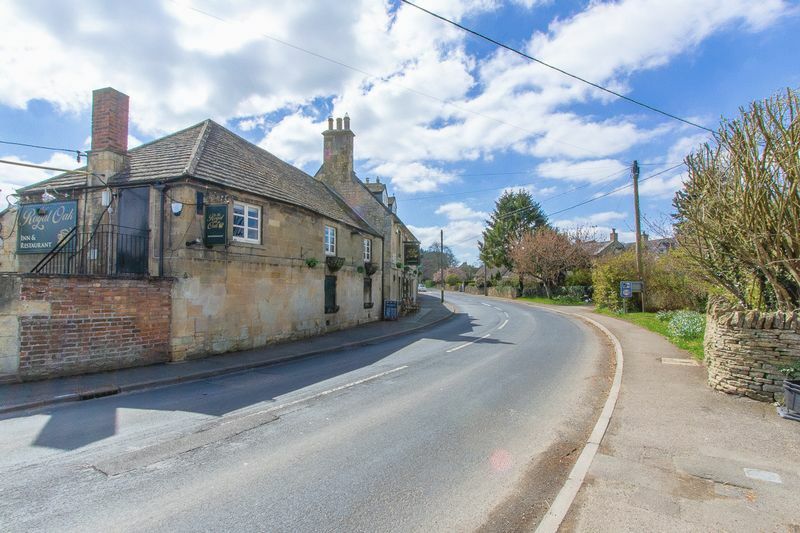 Local amenities include a highly rated primary school, post office, village store, petrol station and traditional food pub. 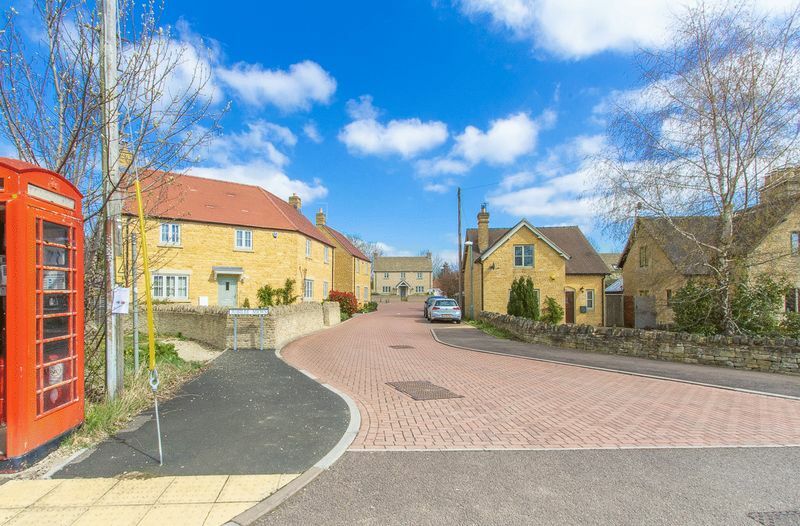 Andoversford is currently within the priority catchment area for Cotswold senior School and is Located just off the A40 within 6 miles of Cheltenham and 12 miles of Cirencester, with good links to the M40 and A417/M4. 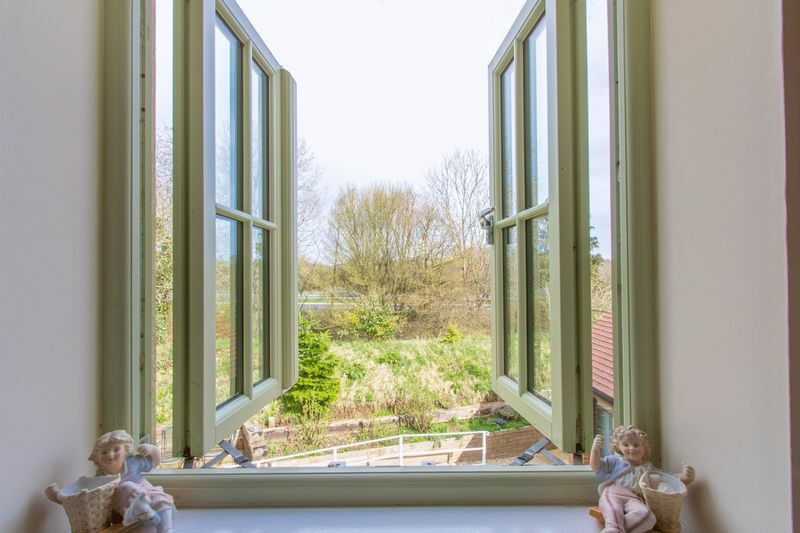 EPC C.
Situated on the river Coln, the village amenities include a highly rated primary school, post office, village store, petrol station and popular food pub. 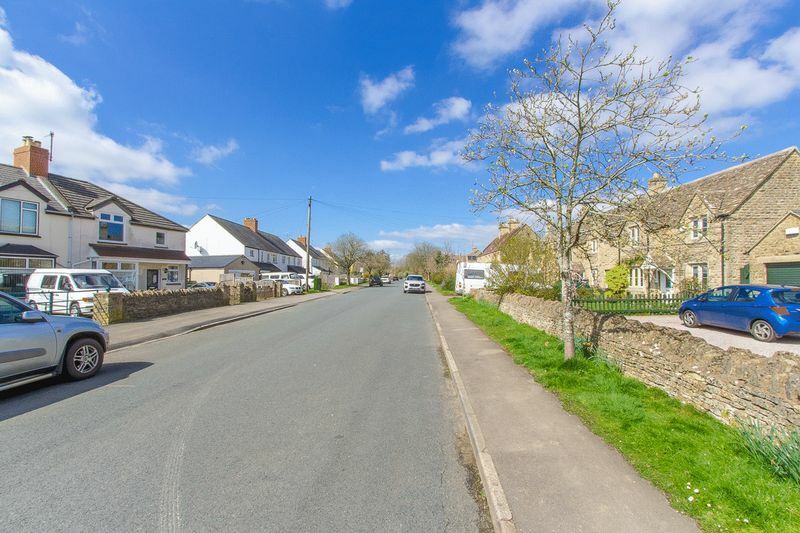 Andoversford is currently within the priority catchment area for Cotswold senior School and is Located just off the A40 within 6 miles of Cheltenham and 12 miles of Cirencester, with good links to the M40 and A417/M4. No onward Chain. 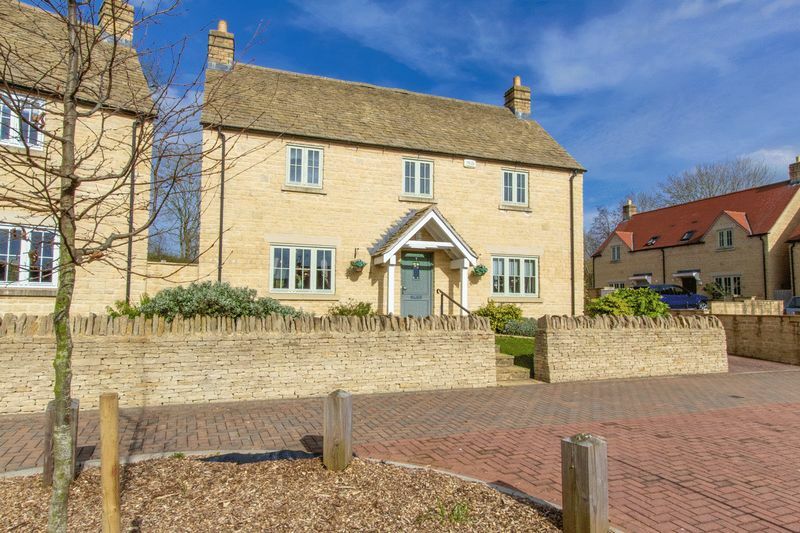 Cotswold stone wall to front, steps and raked path up to open porch entrance, garden mostly laid to lawn with plant and shrub borders, gated driveway to side with tandem parking for three vehicles leading to a detached garage. 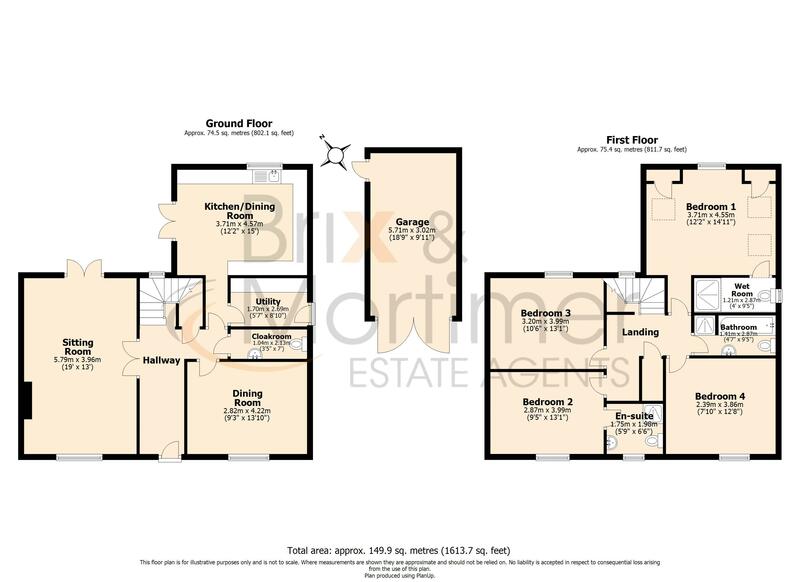 Entrance via a wood panelled door, wood framed window to rear, wood flooring, fitted floor matt, doors to all rooms, stairs off, storage cupboard, wood framed double doors with multi bevelled glass panels to sitting room, underfloor heating. 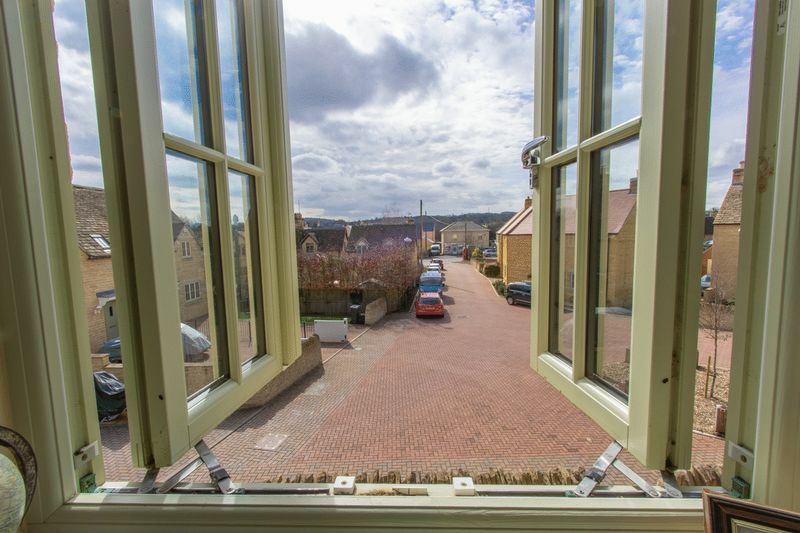 Wood framed double glazed window to front with views along the cul-de-sac to station Road, wood framed double glazed patio doors to rear, Adam style fireplace with inset electric fire, underfloor heating. Wood framed double glazed window to front, wood flooring, under floor heating. Wood framed double glazed window to rear, wood framed double glazed patio doors to side, range of base level storage units with granite work surface over, 1.5 sink, inset dishwasher, range cooker with hooded extractor over, range of wall mounted storage units with under lighting, ceiling spot lights, tiled floor with under heating. Wood framed door to side, range of base level storage units, space for washing machine and dryer, stainless steel sink plus drainer, wall mounted extractor, under floor heating. WC, pedestal wash basin, extractor, tiled floor with partially tiled walls. 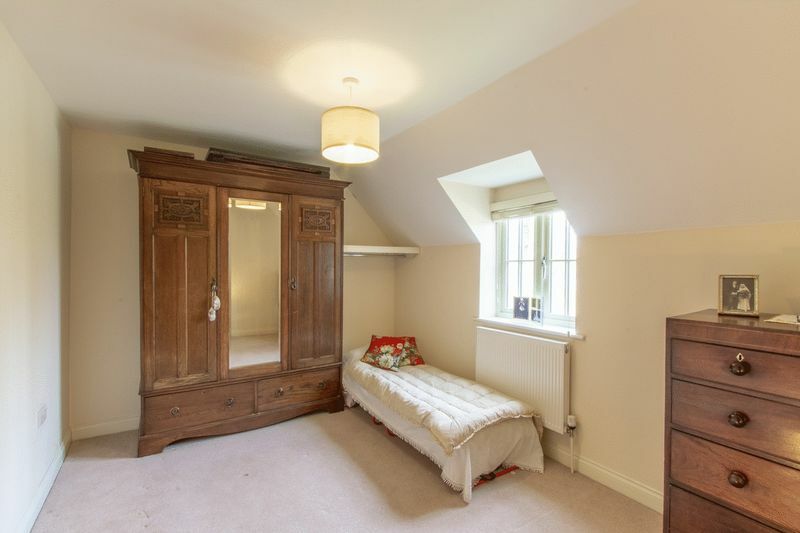 Door to all rooms, wood framed window to rear, radiator, loft access. 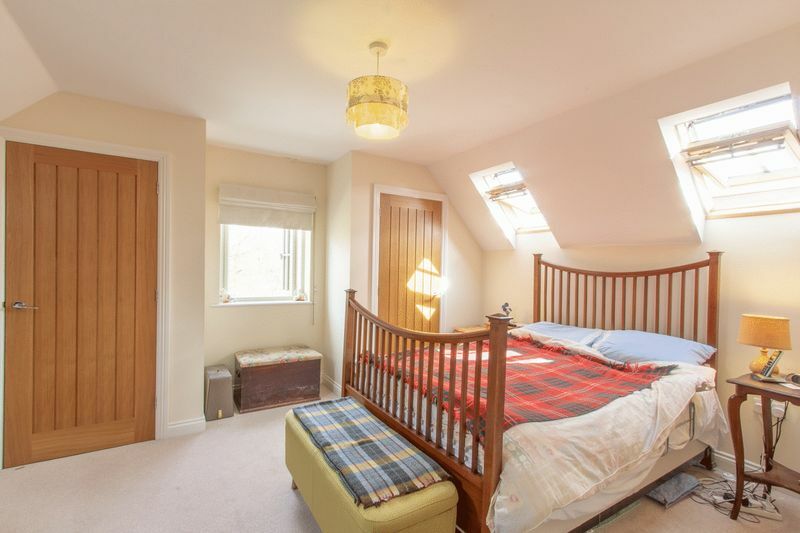 Wood framed double glazed window to rear, three velux windows to sides, twin fitted wardrobes, radiator, door to en-suite. 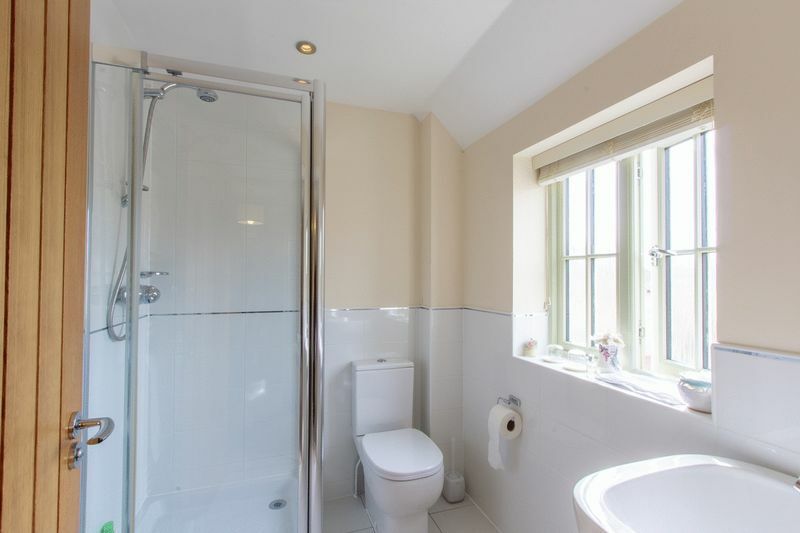 Wood framed window with double glazed frosted glass to side, wet floor shower area, WC, pedestal wash basin, ladder radiator, ceiling spots, extractor. Wood framed window to front, radiator, door to en-suite. Wood framed window to front, corner shower cubicle, WC, tiled flor, partially tiled walls. Wood framed window to front, radiator. The land to the rear of the property faces North/East and is approximately 100 feet in length and 50 feet wide, and is in three sections and on different levels. 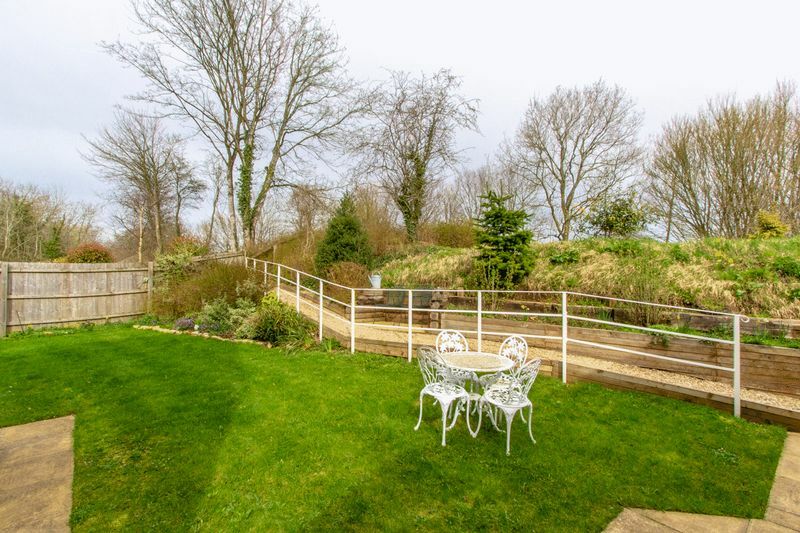 The first section comprises of an enclosed lawn area of approximately 31ft at the maximum x 21ft, with patio, path to side, outside lighting, access to driveway and garage, gravel path with hand rail leading up to an embankment. 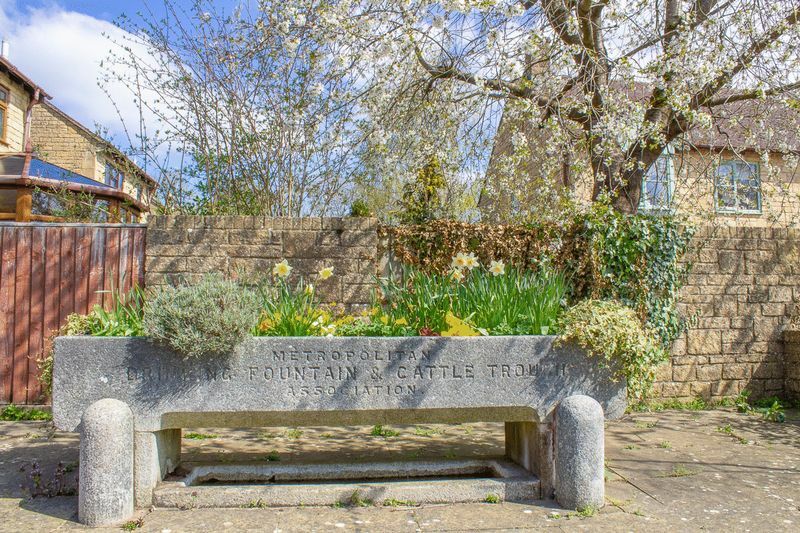 The second section is a landscaped embankment with gravel paths that wind through seasonal flower beds, patio areas and rock features to a level area of high ground, mostly laid to grass. The embankment then falls away steeply to a level area of wild grass and bushes that measures approximately 75ft long by 50ft wide. 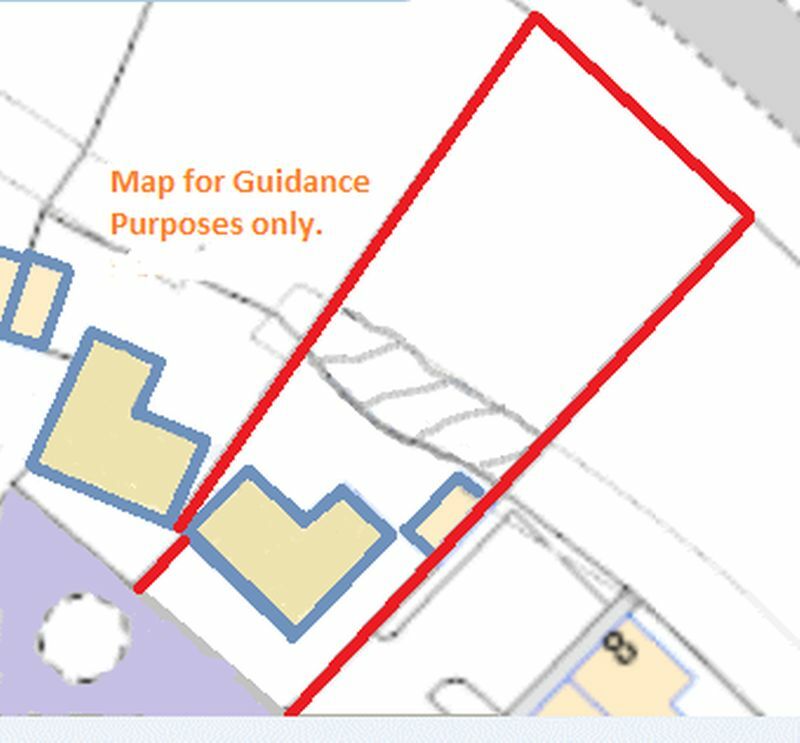 With landscaping this area could be enjoyed in a variety of ways subject to any statutory permissions (if required). To the side of the property is a paved driveway with tandem parking for three vehicles and a covered side porch area leading to the garage. The Daikin, air source heat pump housing is on the garden side of the garage. Accessed by wood panelled double doors, power and lighting, the vendors currently park a vehicle inside, however interested parties are encouraged to check the entrance width for suitability of use for their own vehicles. 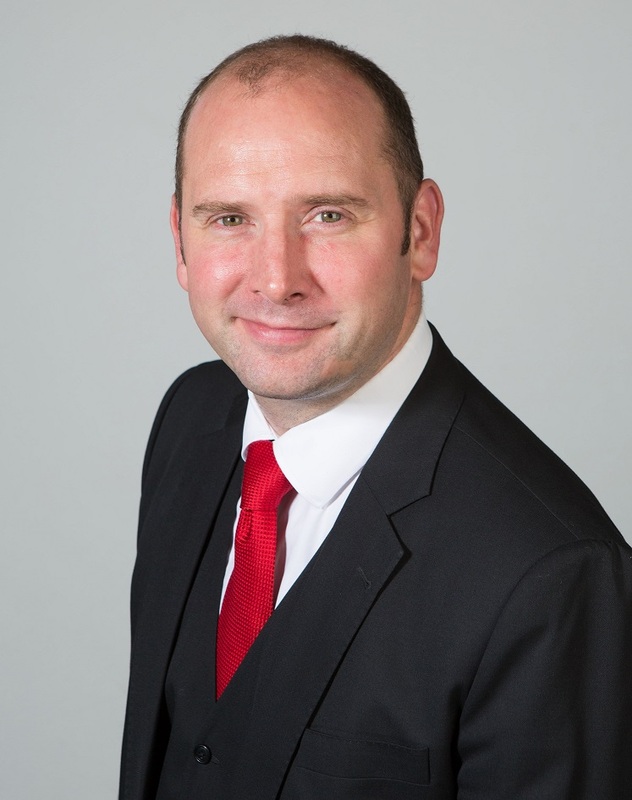 Bus Routes: 801/853/804/832 Destinations include: Cheltenham, Morton-in-the-Marsh and Oxford. 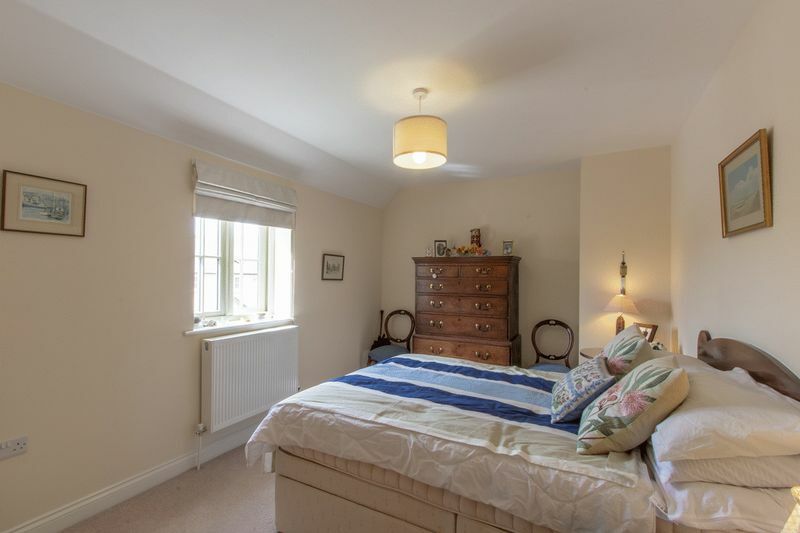 Located within 6 miles of Cheltenham town centre, 12 miles of Stow-On-The- Wold, 12 miles of Cirencester 35 miles of Oxford (M40). 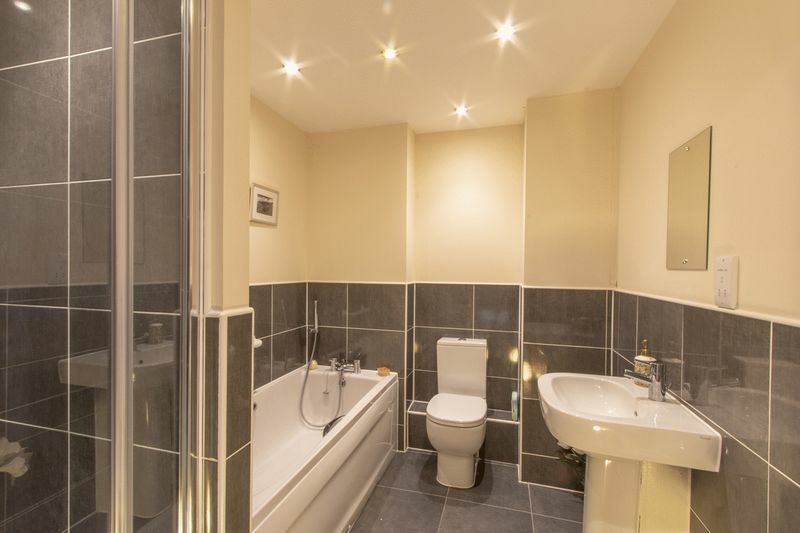 Bath with side panel, seperate shower cubicle, WC, pedestal washbasin, ladder radiator, floor tiling, partially tiled walls, ceiling spot lighting.